The Hogan's are setting off toward the sunrise aboard their valiant vessel, Invincible. This is the story of their adventure! A Lot Of Water Under Our Keel! Proof positive, we’re still afloat! So much change, so much distance! We have sailed many miles since our last post, not to mention our primary blogger, Marina, has left us for new horizons in Boston, Massachusetts. All this has been a great adjustment and education for us all. Zach is now taking Marina’s watches on passages and our primary deck hand, handling all lines when underway, while Sara and Kathryn fill in when he needs a break. Sara is now “Galley Master”, cooking breakfast most mornings and overseeing all aspects of galley maintenance. Kathryn keeps the main salon clean and orderly (a big, neverending job). Hannah, Connor and Bella are helping in all areas when requested. Connor’s favorite jobs are fishing and diving on the anchor to make sure it is set. Hannah is our ukelele playing entertainment. Bella likes to create arts and craft messes. All in all we have adjusted to our abbreviated crew well, as if 8 people on a 41 foot boat is a short crew! Haha! 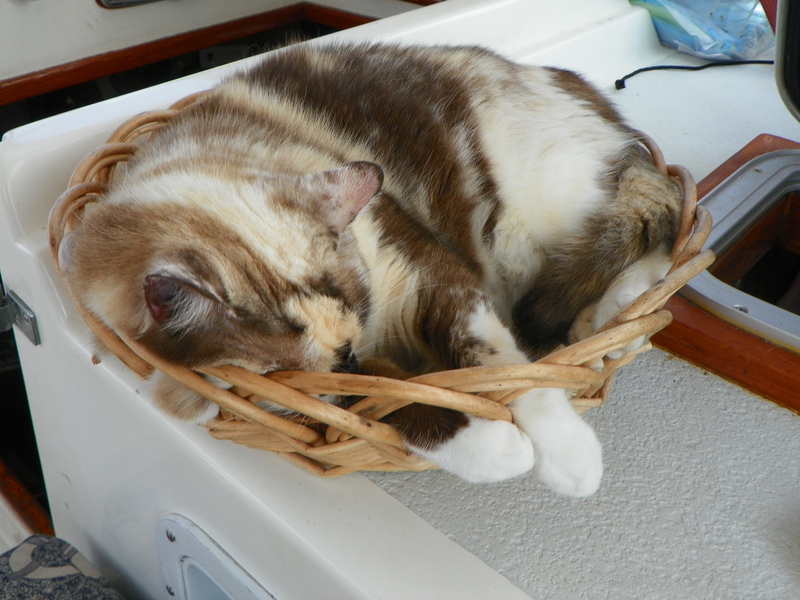 Prissy works hard at sailing! When Marina last posted we were in Isla Mujeres, Mexico. We had the best passage yet from there to Utilla, Honduras. It took us 3 nights and 2 1/2 days of sailing to make this leg of our journey. It was awesome to turn off the engine and sail at over 6 knots most of the way. We had beautiful sunrises and sunsets not to mention just a couple of mild squalls. We were also equipped with Cinarizina, a sea sickness remedy that can be purchased in Mexico and has very little side effects, so we had no sea sickness! What a treat! Our favorite fisherman getting dinner! 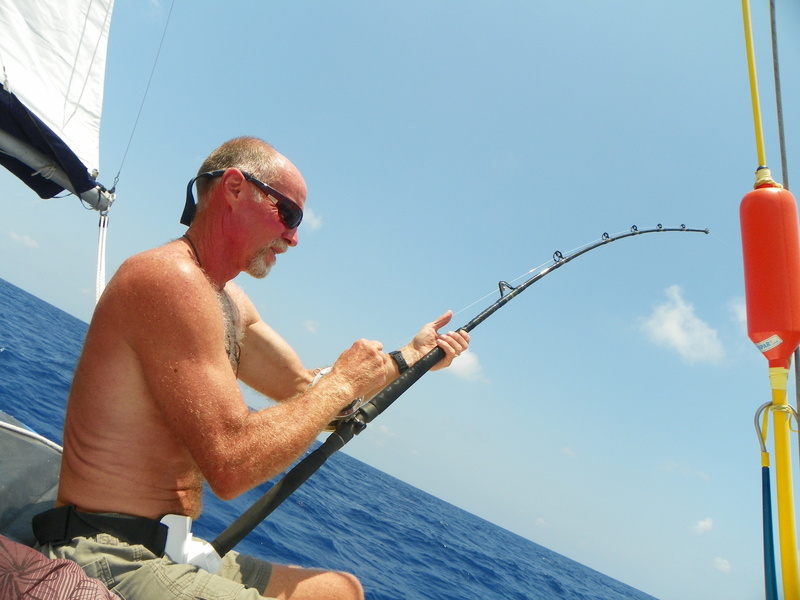 We’ve had black fin tuna, king mackerel, mahi-mahi, and wahoo. Wahoo is our favorite! We stayed in Utilla for 3 very busy weeks. Great island to visit, just take your coconut oil for protection against the sand flies (which we didn’t know and a couple of us got eaten up). Check in was easy and cheap, a far cry from Mexico’s complicated process. We met lots of great people and ate good, very affordable food so we were able to eat out often, which we loved. Later we will post a detailed account of our time on this lovely island! Sailing to Roatan only took half a day and though we were beating against a fairly strong wind the sail was still sunny and enjoyable. When we arrived at French Harbor the channel buoys were gone (stolen by fishermen apparently) and the sun was behind a cloud so we found a fellow sailor to lead us through the channel, thanks to “It’s Good To Be” for your help! Our 4 days in Roatan were spent enjoying the resort life on 2 little islands, one known as Fantasy Island and the other as Little French Caye (currently the #1 destination for Roatan on tripadvisor.com) where they have a small animal sanctuary. 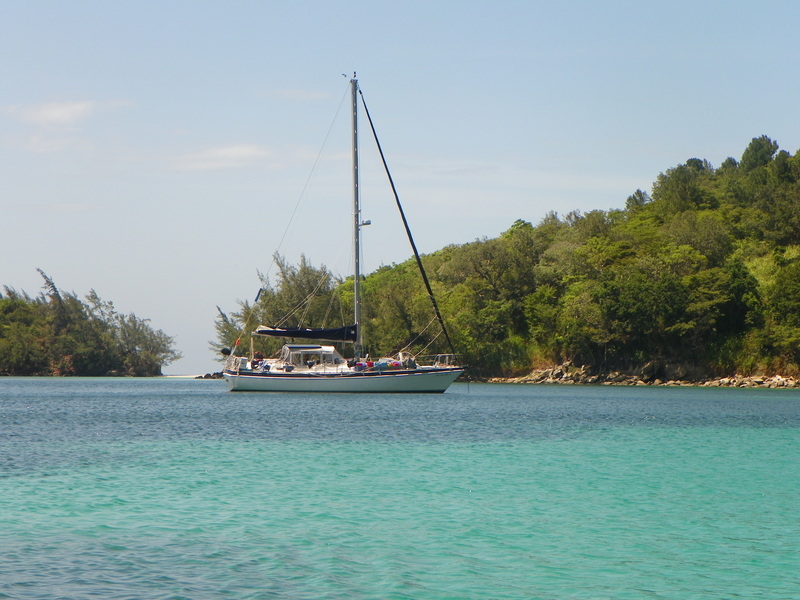 Our sturdy blue dinghy gets us to shore and back in paradise! 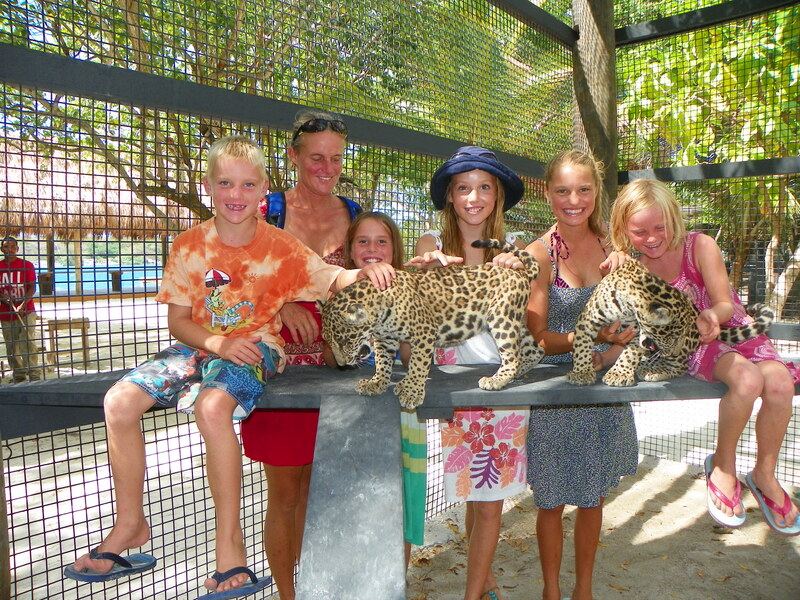 The kids got to play with baby spider monkeys and baby jaguars, another amazing experience we will expound upon later, let’s just say it was a once in a lifetime moment! Wow! Real live jaguar cubs! Another half day sail and we arrived on the most beutiful of the 3 Bay Islands, Guanaja. On our first night we met the very friendly German community living in the bay. Our stay on this island was a full month as we had to wait for a good weather window to sail eastward. We spent a week and a half at Michael’s Rock anchored out alone. 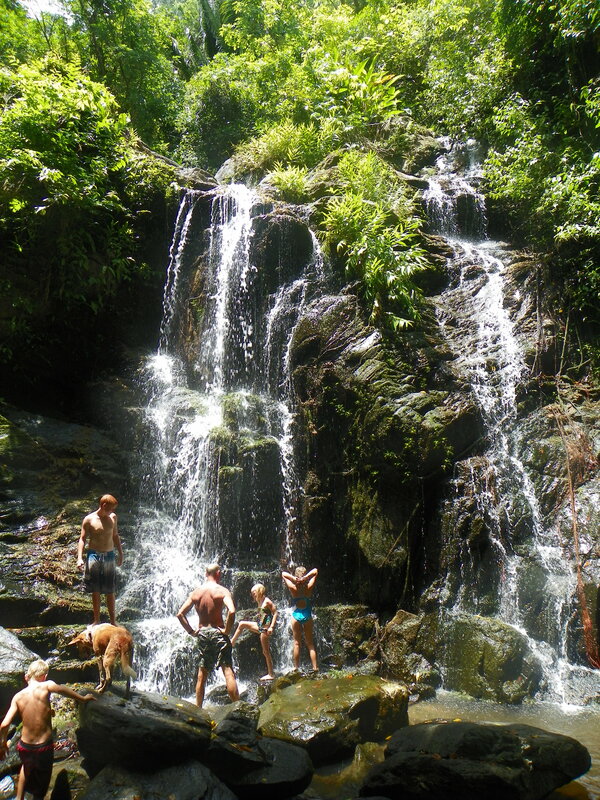 From there we snorkled beautiful reefs and hiked to an incredible waterfall. In general life on this island was the most inconvenient as the main town was a 30 minute dinghy ride but this kept the tourists away and the island more pristine. If you come to Guanaja you must visit the restaurant Manati, they have the best German food in the western hemisphere. We really miss the friends we made there (Klaus, Annetta, Roland, Hans, Hannis, Hansito, John Smith and Gar) and thank them profoundly for their hospitality! Another story all by itself. After a fabulous month we finally got our weather window to Isla Providencia which is off the coast of Nicaragua but part of Colombia. We beat into the weather for 4 days to get there. Not a fun trip but not dangerous either. Saw the most beautiful sunrise yet on this stretch. Awesome sunrise! Amazing colors! The joy of the last watch is dawn’s 1st light. We only stayed one night because too expensive for a one week stay. 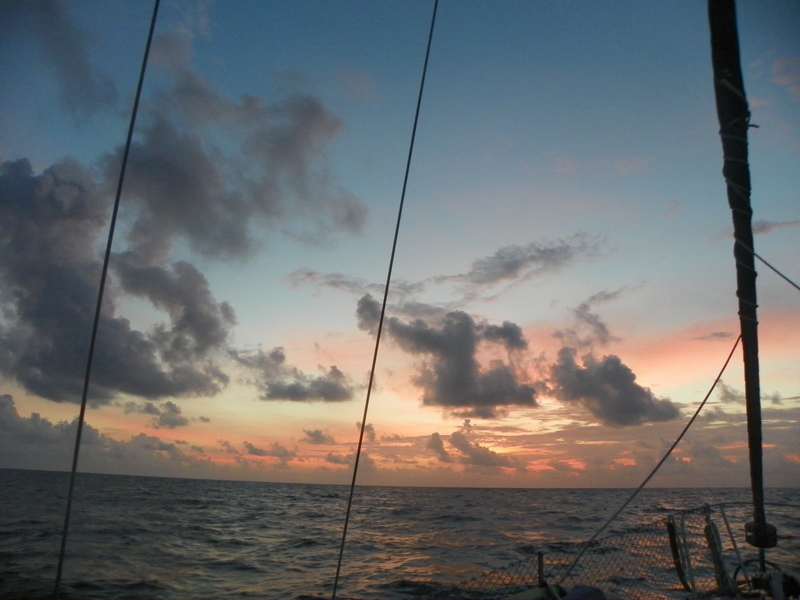 Left at first light, after a good nights sleep, to Bocas Del Toro, Panama. The most exciting moment on this stretch was a 1 a.m. big bang then whack, whack, whack!! The topping lift had broken and the boom was trying it’s best to scrape our solar panels off the bimini! Of course I’m dead asleep, running on deck, bleary eyed, lightning, thunder and rain, what fun. Got Zach up to steer while Mark and I were at either end of the boom, one stabilizing, the other lowering the main to use the main halyard as a makeshift topping lift. Soon enough, we were sopping wet but the problem was solved and we were able to re-secure the solar panel that was knocked askew. The children, who had all awoken to the excitement, were all back in bed and we were under sail, at a brisk rate, with only the jib. 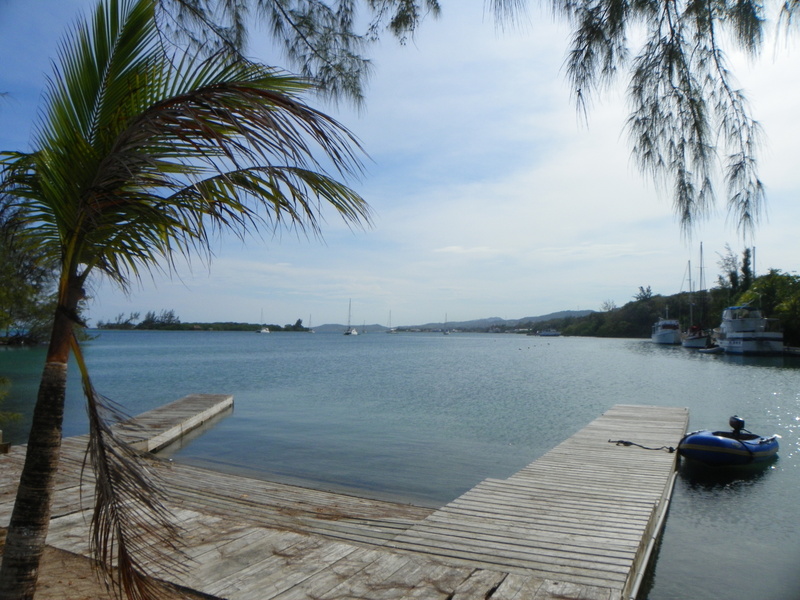 We made it safely to Bocas in 2 1/2 days. It was the first time we took no medicine for seasickness and nobody even got a hint of sick!!! I think we have finally fully adjusted to life at sea! We will rest here, in Bocas, for awhile, clean ship, finish school, fill in our blog with gritty details and explore the abundant islands surrounding us. Thanks for reading and for your patience! The sailing life is great fun and adventure but very busy too and somehow technology gets lost in the necessities of life (those kids all expect to eat regularly) and boat maintenance. Fair winds and following seas until we post again! 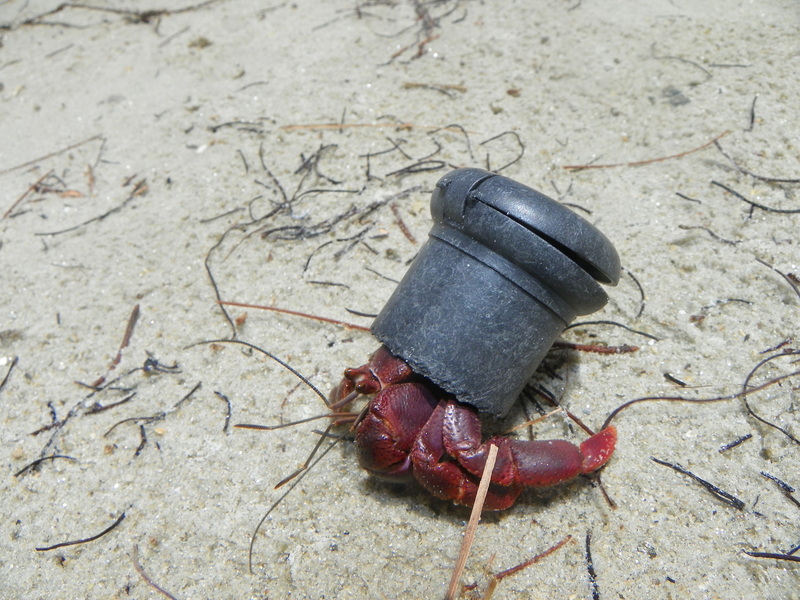 This guy knows how to live recycling! 10 Responses to A Lot Of Water Under Our Keel! Love this Ruth, so interesting! Gosh…..it is so good to hear from you. Bocas del Toro was where we had planned to go. Let me know all about the area, please. Im really missing you Hanna! But I am glad to be able to read about you and your family. I hope to see you again sometime. Miss you lots. Oh Lina says HI too. Oh by the way… this is Alexia (Lexi). Ruth– I’m so happy to read the update of your continuing adventure! I think of you so often! You and your family remain in my prayers. I love you so much, my friend! All safe and sound. We are also in Panama getting ready to go through the canal! Hugs to all and love the pictures. Xoxo. On Delay. Marty R. on Fabulous Friends! Point of View, From The Crew.